An empowered youth today is a chance at a better tomorrow, and thus one of the main pillars of Friends of City Park (FoCP) is Education Empowerment. In a bid to effectively communicate City Park’s history and biodiversity to the public through our nature guides, FoCP sought to undertake a training course for its guides. 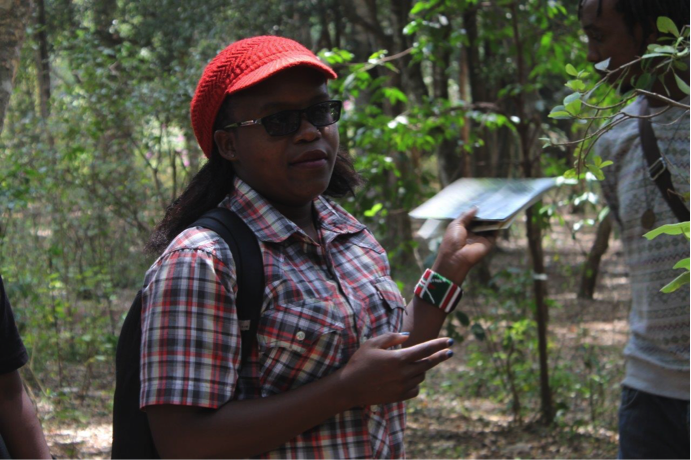 Under the FoCP’s education committee, the activity assisted City Park guides understand and communicate to the public effectively, City Park’s cultural and ecological significance in relation to the history of Kenya. About two dozen potential trainees were selected on a first come basis, and were drawn from the Nature Kenya – Youth Committee, Digital Divide Data (K) and regular City Park guides. The training day was a culmination of a series of rigorous preparatory exercises undertaken by both FoCP and the potential trainees. It included a talk from the University of California, Davis-based Anthropology Professor, Bettina Ng’weno on three communication-based themes namely: Purpose, Content and Delivery. Prior to the training, the potential guides were provided with a copy of the City Park Forum Report and Guide as prepping material. Two trainees were pre-assigned to talk about the nurseries; Boscowen Collection/Pollinator Garden; Forest & biodiversity; Murumbi Memorial Park; Pio Gama Pinto Cemetery; Band Stand; Maze, World War Memorial Graves; and the River Kibagare. At the nurseries, the trainees suggested that the nursery could provide cut flowers to the hotel nursery. Also, they suggested that once the nursery is rehabilitated, it should be marketed as a place which provides the cheapest plants and of a larger variety compared to other nurseries. One of the most interesting parts of the walkabout was the tour to the Boscowen Collection/Pollinator Garden, which was well done and the posters were interesting and informative. The garden is maintained by Leah under the guidance of FoCP Chairperson, Catherine Ngarachu. Most trainees acknowledged work done by FoCP and its commitment to preserving biodiversity at the garden. Another interesting site visited was the Murumbi Memorial Park which had several informative notice boards. This approach could be adopted on all 10 sites for future walks. The trainees assigned widened their talk to accommodate such important facts as the Murumbi’s sculptures linked to the Nairobi Gallery. A visit to the Pio Gama Pinto grave was also an eye opening experience to many. Coupled with well researched notes, the trainees assigned, disclosed that Pio Gama Pinto was in touch with other activists such as Malcolm X who was assassinated 3 days before him. 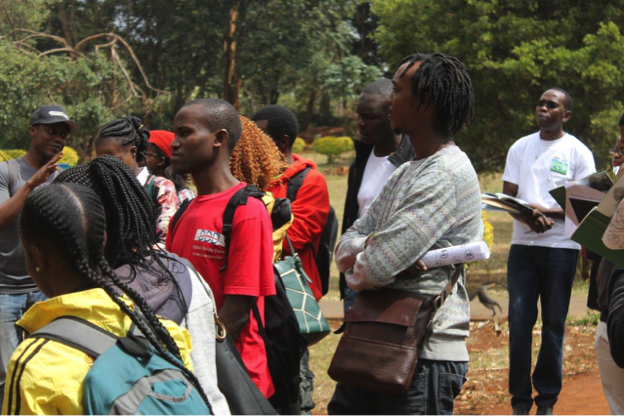 Trainees assigned to the forest section linked them to other forests around Nairobi. 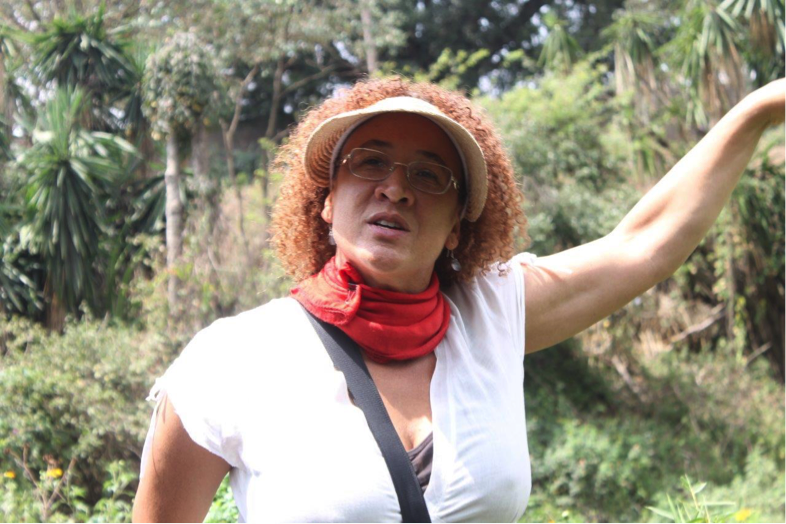 During the talk, it was also shared that the idea of forests also encompasses the soil, air and trees themselves. The presenters also shared that the Grevillea trees, which are exotics from Australia, were planted in coffee plantations as they make the ground acidic which is beneficial to coffee. These facts were relatively unknown to the trainees who appreciated the nuggets of wisdom bestowed. As the training wound up, FoCP noted that some of the trainees required more details on the ongoing NAMSIP project regarding the rehabilitation of City Park such as how the rivers would be cleaned, and the pros and cons of canalization vs decanalization. Also, details of the cemeteries such as Commonwealth War Graves (where some are from WW1 and WW2 but many are not) and how cemeteries were divided by ethnicity such as the Goan and Jewish cemeteries. 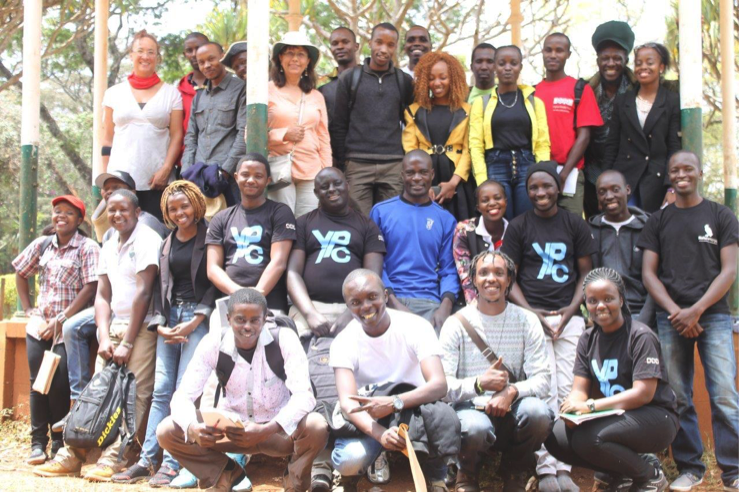 Special thanks goes to the Friends of City Park led by Dr. Baldip Khan, Nature Kenya- Youth Committee, the management of Digital Divide Data (Kenya), Prof. Bettina Ng’weno, and the regular City Park guides for making this training possible.